I’ve seen Munich from a touristic point of view, where I only had three days to see the entire city, as well as having six months to explore the ins and outs of the beautiful Bavarian town as a local. The city is quite small compared to other European cities, such as Paris or London, and a lot of the attractions are packed in close together making it a fantastic destination for quick weekend trips. 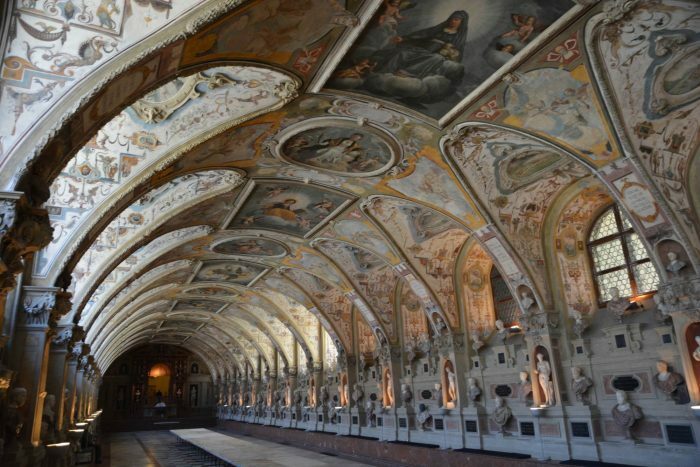 Whether you are in Munich for ten days or two, make sure you make it to these ten highlights before you kiss this historical haven goodbye. Munich Residenz is a former royal palace which lies in the center of Munich. A five minute walk from Marienplatz and you’ll find yourself in the ancient building, which has an alluring museum which costs seven euros. You could spend hours in the museum, seeing the old bedrooms and going through exhibits containing jaw dropping works of art. 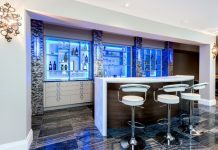 Don’t miss out on this picturesque room where you can sit in astonishment as you flash back in time. 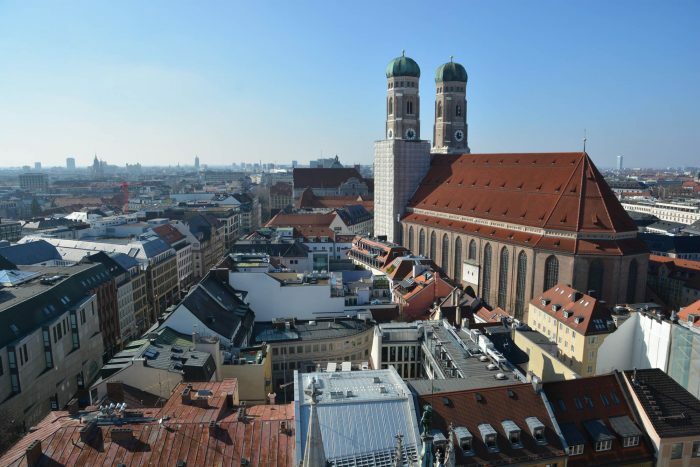 The Frauenkirche is the symbol of the bavarian city of Munich. The interior of the church is simple but splendid, and entrance is free. Since the city has height limits on buildings, the iconic towers can be seen from most areas of the city. To get a stunning view of the church, ride the elevator to the top of the city hall building and look out over the ledge towards the famous church. Head over to the park that contains a hill built out of debris from WWII. 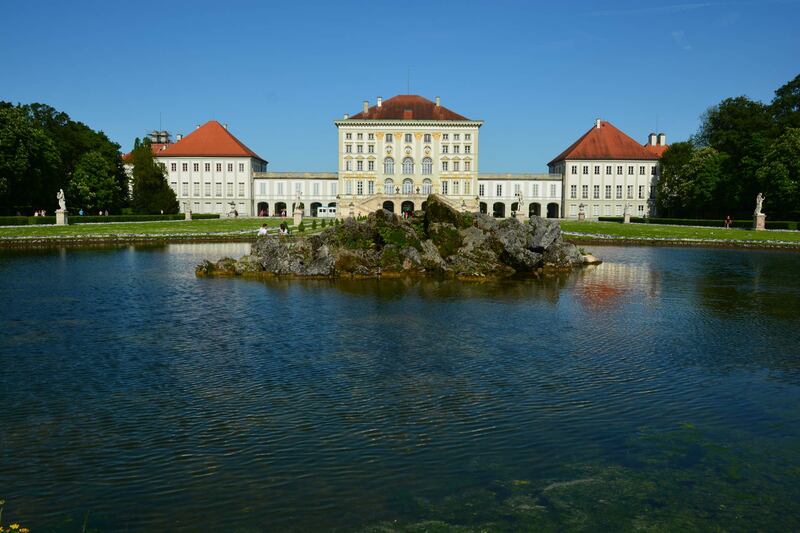 The park is named after the Olympic games which were held there in Munich in 1972. Locals and tourists alike love to lay in the grass while looking at the blue lake. Tons of trails make it accesible to run in the gorgeous green area, with paths leading to the top of the debris hill, which offers a fantastic view of the city. 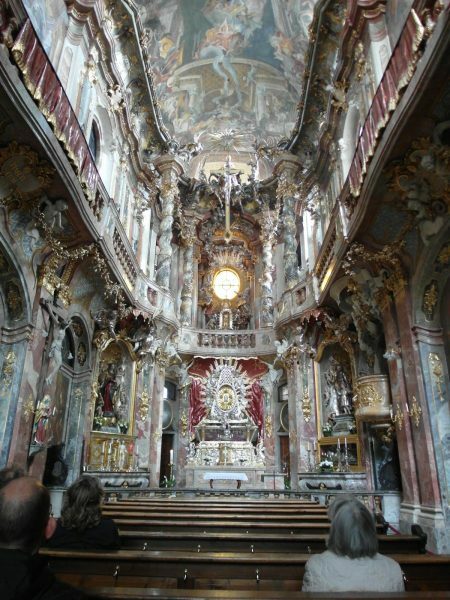 This baroque church is hidden between normal buildings such as Starbucks and laid-back bookstores. The exterior is phenomenal, leaving you appalled at how an ancient building can blend in seamlessly between modern structures. The interior is blocked by a gate, but from behind the bars you can see the delightful inside that has resulted in it becoming my favorite church. It’s tiny but the detail is fabulous. 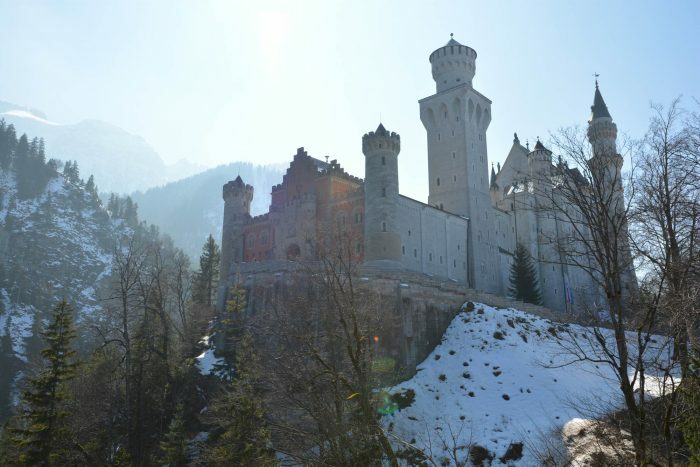 Not only does the castle look prestigious with it’s white body and reddish-orange roof tops, but the area surrounding the building is full of trees and winding trails. Besides being immersed in what seems like the middle of a forest, you also have the option to hop on a gondola ride down the crystal clear river. Locals and tourists spend days full of sunshine rays lying on the grass taking in the relaxing atmosphere. A must-see for anyone trying to get out of the direct city-center, but also looking to see important artifacts. This market isn’t like any normal farmer’s market, as it is open Monday through Saturday from 8am-6pm (3pm on Saturdays). 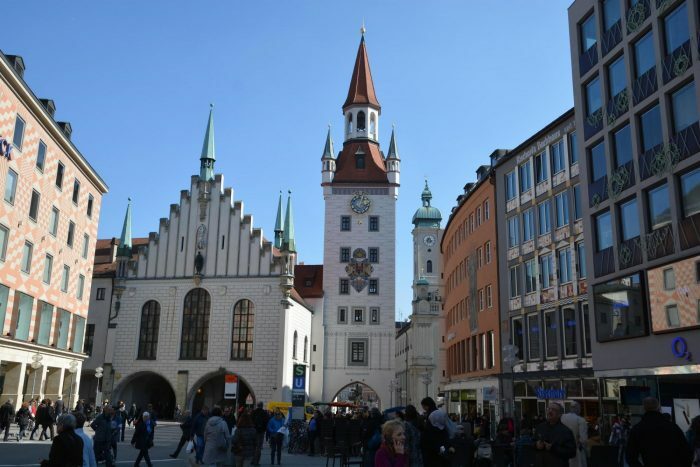 Only a three minute walk from Marienplatz, it’s conveniently located for anyone delving into sights in the city center. 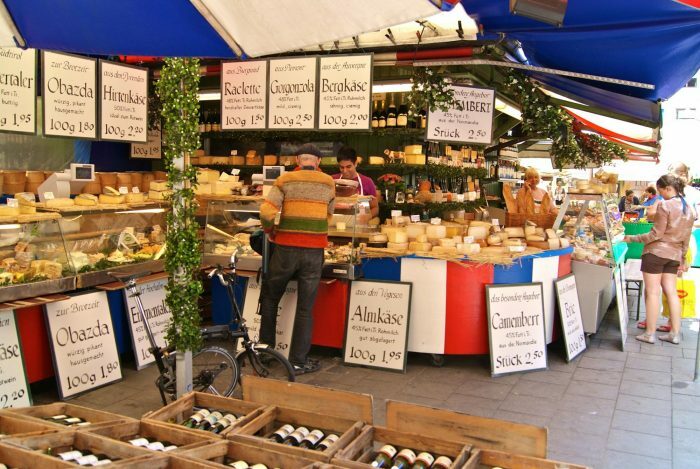 You’ll find this market booming with fruit, vegetables, meats, cheeses, and hand-crafted souvenirs. Both locals and tourists love to roam around the market to see what kind of savory snacks they can find. Perhaps the most famous section of Munich, the Marienplatz, is overflowed with tourists all year long. This square is surrounded by phenomenal architecture from the historic townhalls, as well as a plethora of cafes to stop into when your tummy begins to rumble. Don’t miss out on seeing the square which was bombed to nothing during the second world war, but has since regained its charm. Looking for a place where you can see the traditional dress of lederhosen and dirndl, eat pretzels larger than your head, and enjoy pints of the best beer known to man? Then head over to this historic restaurant, where locals come in typical bavarian outfits and everyone is talkative. The tables are constructed into long arrangements, which are typical in beer gardens, so you’ll find it easy to chat with your neighbors. The bavarian style restaurant is booming with traditional music, which will have your foot tapping all night long. If you find yourself done with the busy city life, then head to this park, known as “The World’s Largest Park”, where you will feel like you’re in the middle of the Schwarzwald. 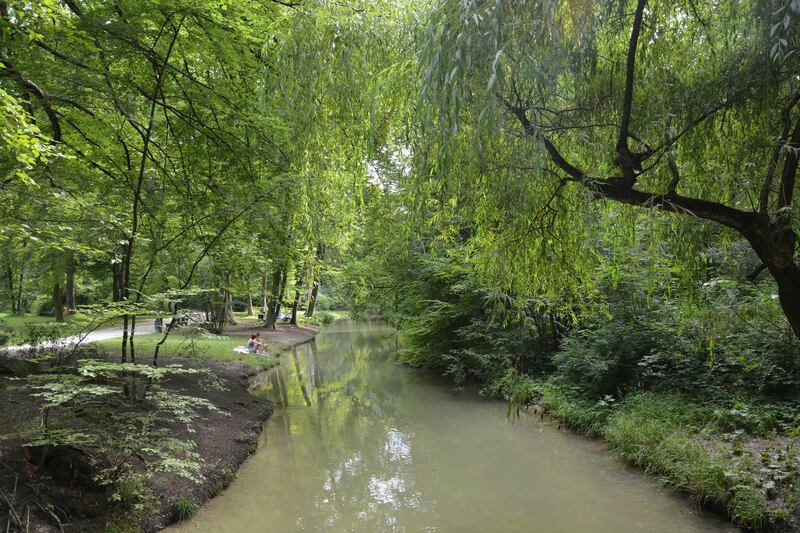 The quiet atmosphere and abundance of green trees makes it seem like it couldn’t possibly be anywhere near a city, when in fact, it’s only a 15 minute walk from Marianplatz. Sip on a nice cold beer on the benches by the lake while watching tourists ride in rented boats, or check out the Chinese Tum to see some chinese inspired architecture in the heart of Bavaria. 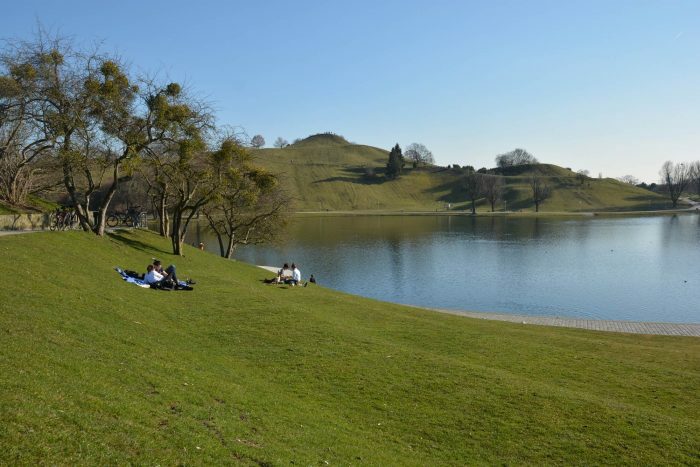 The area is the perfect spot to break a sweat or to recline in the grass on a warm summer day. alf drive to find yourself at the flawless building that inspired the Disney Castle. Unless you’re incredibly eager to see the inside of this certain castle, I wouldn’t recommend spluging on the twelve euro tour. 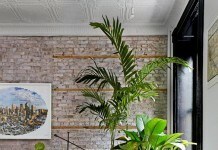 The short tour offers minimal exposure to the rooms and leaves you feeling ripped off. 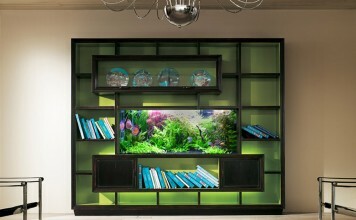 There’s no need to see the interior, as the exterior is booming with beauty. After gawking over the structure, head down the hill into the surrounding village, which offers typical bavarian food and picturesque views of the alps. The entire area seems like it’s straight out of a fairytale. 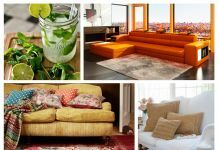 How to Stunningly Upgrade Your Living Room Decor for Upcoming Summers?